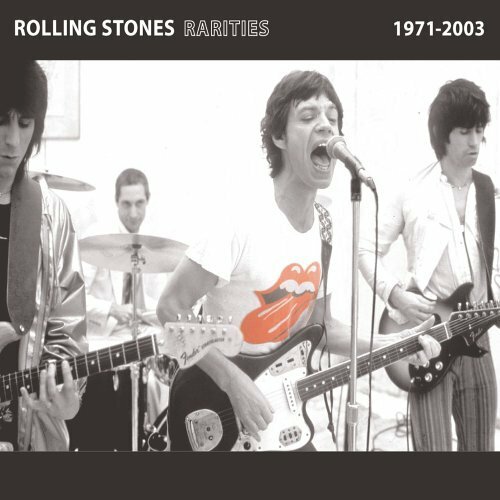 In 2005, The Rolling Stones released “Rarities 1971-2003“. The album features a selection of rare and obscure material recorded between 1971 and 2003. 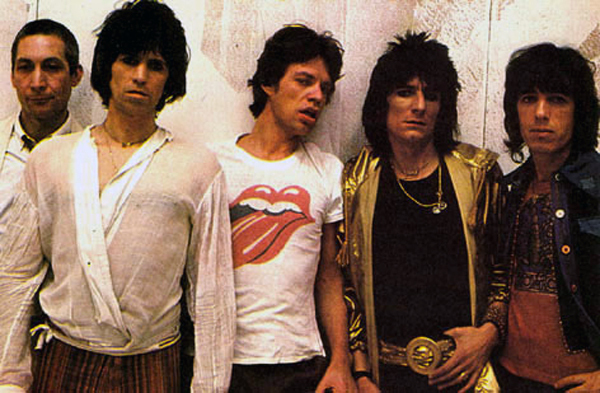 Here is the album cover showing Mick Jagger, Ronnie Wood, Keith Richards and Charlie Watts. 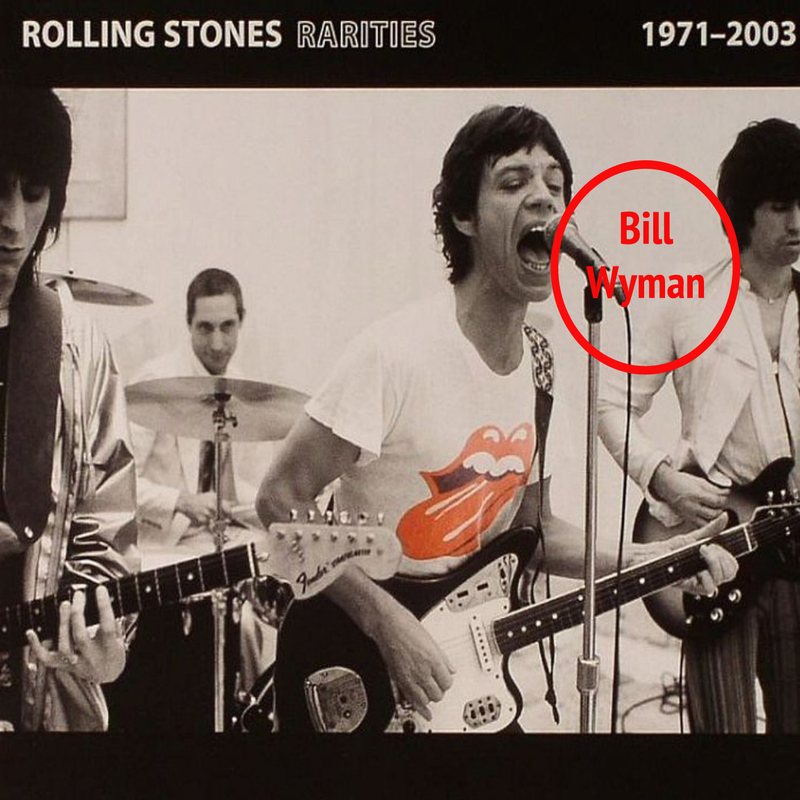 Did you notice that The Stones bass player from 1962-1993, Bill Wyman is missing from the album cover??? 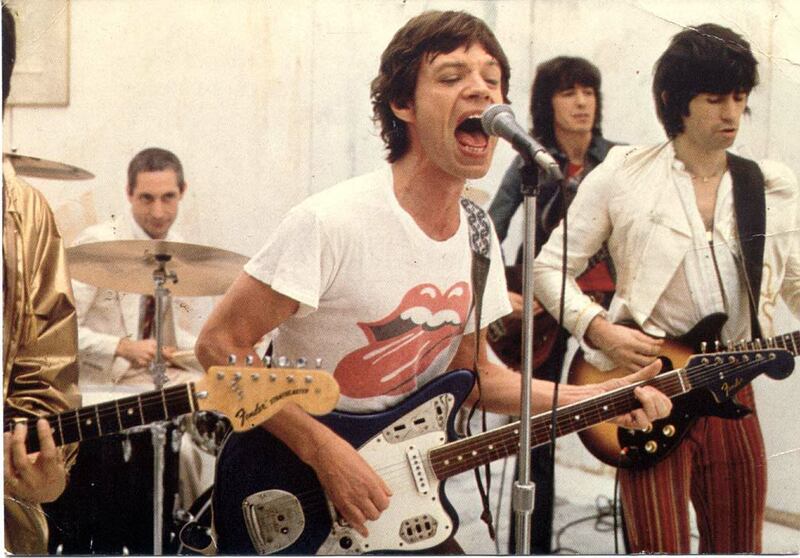 Wyman’s image was digitally removed but you can still see his bass cable hanging between Mick Jagger’s microphone stand and guitar. 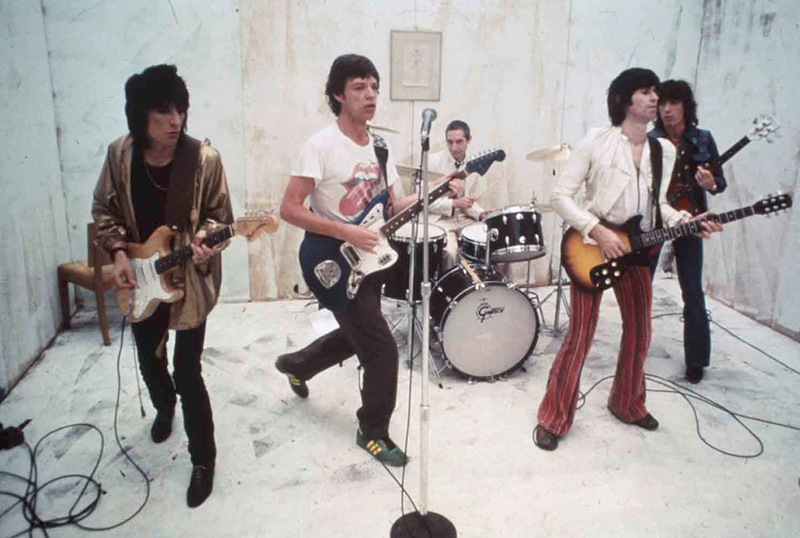 Wyman left the Rolling Stones in 1993. Here’s a few other photos from the same session that they didn’t remove Wyman from.